Believe it or not, construction loans are actually more complicated than mortgage loans—and this is because they come with higher risks for the lender, but also for the borrower. Most of the risks stem from the fact that repayment begins only once the project has been completed, but also from the over-budget costs, which can even arise with the best of intentions on the part of the borrower. In today’s post, we look at the special features of the typical construction loan, such as interest reserves and monitoring guidelines. We also give you a quick primer on how to take out home construction loans, in the form of a tips & tricks cheat sheet—there are certain questions which you must make sure to ask, in order to avoid getting a rotten deal on these expensive, complex financial products. 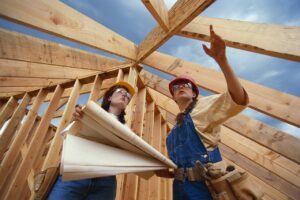 How are construction loans underwritten? In most cases, construction loans are underwritten to individuals who want to build their own homes, businesses building commercial properties for their own use, or investors building a property which they subsequently rent out. The general guideline here is that, once the loan has been fully extended, the borrower has to be able to afford paying the money back in full—regardless of how much the completed construction is actually worth. In plain English, the lender doesn’t care if you’re building the next Taj Mahal, they just want to make sure you can afford paying them back based on your current income. Then, construction loans also come with a loan to cost requirement, which tie the borrower to the project and try to ensure he/she will not walk away from it before completion. The borrower’s obligation to fund the construction with an infusion of cash from their own money is also the lender’s way to make sure they would be able to cover most of the loan, should the borrower default. Loan to cost requirements typically mean that borrowers have to cover 5 to 20% of the project costs themselves. This may directly target land equity, or it can refer to other project costs. Finally, the maximum amount on loan is relative to the final value of the completed project. This is especially relevant for multiple-family condo properties, where the lender will only loan as much as the total value of the condominium project as appraised for a bulk sale. Banks like to stay safe, so they will go ahead and assume the worst case scenario, i.e. having to sell the whole project off to a single buyer—which would naturally bring in less money than selling each condo to individual buyers. Throughout the duration of construction, the borrower takes out money from the loan as draws. These draws are used to pay for the building materials and contractors, and some lenders also enforce periodic inspections, to make sure that the money in question is also going into the actual project. In most cases, lenders also set up interest reserves, which help the borrower avoid having to pay money out of their pocket to cover for the loan before construction has ended. Consider taking out a short-term one year loan, refinanced into a mortgage at the end of construction. This will imply two sets of process and closing costs, but it will also put more options at your disposal. You can also opt for a “one time close”, also referred to as a “construction-to-permanent”, “all-in-one”, or “rollover”. Construction loans are ‘story’ loans. The lender will want to know what your story is, i.e. if you’re going to live in the house, once construction is completed, or if you’re an investor building to rent. Terms and loan rates in these two scenarios may be very different. Aside from interest reserves, many lenders also add contingency funds to the loan. This money is added just in case you go 5-10% over your initial cost estimate. Unused contingency funds are not rolled over into your future mortgage. 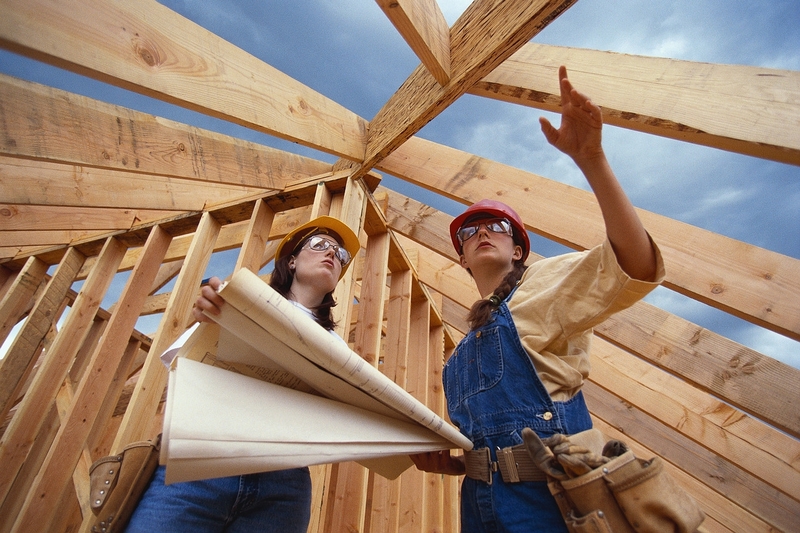 Work with a construction loan broker. They don’t cost extra and, provided they have experience with this specific type of loan, they are usually able to get you better deals than you’d get by simply cold calling all the banks in town. Ask the right questions. When shopping around for a construction loan, it’s important to establish if the bank in question has experience with this particular kind of credit. Ask about loan to cost requirements, disbursement, and additional funds such as interest reserves and contingencies. Decide on the type of interest rate you want. While a construction loan calculator will come in handy during the process, you also need to figure out what kind of construction loan rates you wish to opt for. In a stable market, this needn’t be an issue, but go for locked rates if interest is on an upward trend, and for adjustable ones if they’re going down. In some cases, you won’t be able to lock the rates before construction is finished, so you might end up paying more in interest. Handle the contractor/builder paperwork. This is one of the ways in which construction loans require more signed documentation than mortgages. The builder’s package needs to come with credit statements, line item cost breakdowns, and a list of materials, among other things.